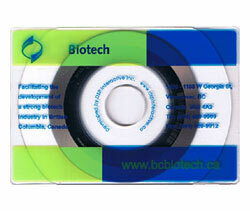 Mini-DVDs and DVD Business Cards now available - ask for a quote. As low as $0.49 each! Replication means the discs will be molded in a factory from a glass master. These discs will be silkscreen printed with permanent ink. These prices are for both business card CDs and mini-CDs. 3-color Pantone® printing included. Please contact us for other options or for help with your artwork. Insertion into plastic sleeves included! No extra charges. Prepress and films included. Turntime is approximately 15 business days. Prices are in US dollars. Shipping is extra. Rush service may be available. Need help creating your presentation? Contact us to discuss your project. Duplication means we will record your content onto blank recordable discs. 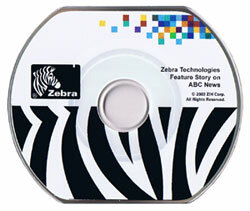 We will apply paper labels or we can inkjet print directly onto the discs in full color. These jobs are done within 3 days. Standard plastic sleeves are included. Prices are in US dollars. No taxes. Shipping included to most American addresses. We can also manufacture CUT CDs. These are full size CDs that are cut down to various shapes and sizes. Please call for an estimate. We have the best quality LASER cutting available. Ⓒ Analogue Media Technologies Inc. All Rights Reserved. Ⓒ Analogue Media Technologies Inc.